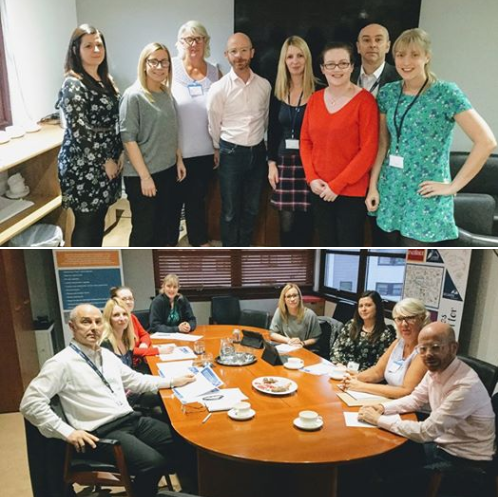 Martin Docherty-Hughes MP has met with housing staff from Bellsmyre and Cordale Housing Associations to discuss the impact of the roll-out of Universal Credit (UC) in West Dunbartonshire. The MP for West Dunbartonshire has raised concerns that families on Universal Credit will face difficulties, including their financial ability to manage household budgeting in addition to the impact it will have on their wellbeing and housing situation. Universal Credit is going “full service” at job centres in Clydebank and Dumbarton from 28 November 2018 and local groups have been preparing for the impact this will have on West Dunbartonshire residents. Mr Docherty-Hughes has been meeting with local housing associations to plan how to reduce the impact of UC on families in West Dunbartonshire. The MP discussed the importance of early intervention with tenants experiencing rent payment problems, extensive communications on the run up to the full roll-out of Universal Credit, and a partnership relationship with the Department for Work and Pensions (DWP) to assist tenants managing their rent affairs. Martin Docherty-Hughes MP works in conjunction with local housing associations, advice and welfare agencies to offer assistance to residents experiencing difficulties with their entitlement to benefits. Bellsmyre and Cordale Housing Associations offer welfare benefit support services from their offices delivered in partnership with the Citizens Advice Bureau. “With the full roll-out of Universal Credit in West Dunbartonshire fast approaching, I was pleased to have the opportunity to meet with the housing teams at Bellsmyre and Cordale Housing Associations to discuss how this will impact local residents. “Universal Credit is the UK government’s flagship welfare policy, but as it’s being implemented across the UK we’re seeing increasing evidence of the hardship its causing, especially amongst vulnerable claimants. It’s regrettable that the PM hasn’t listened to calls to halt the roll-out – so we must be as prepared as possible. “We are delighted that Martin Docherty-Hughes MP has taken time out of his busy parliamentary schedule to discuss with us at an operational front line level the issues that our tenants and the Association are expecting as a consequence of the role out of Universal Credit in our area. “It is important that there remains focus on these new UK welfare reform arrangements by our elected members and that appropriate adjustments to the provisions are considered further as we move forward which helps further mitigate any identified risks to tenants and family wellbeing”.